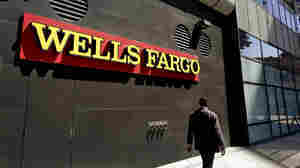 October 21, 2016  In the ongoing scandal engulfing Wells Fargo, the bank says it fired wrongdoers. 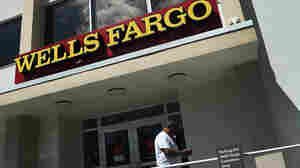 But some workers say they were trying to blow the whistle and Wells Fargo fired them. 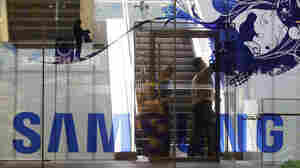 Wells Fargo, Samsung And Volkswagen: Can A Good Name Be Restored? 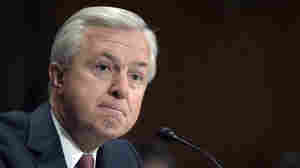 October 13, 2016  Wells Fargo's CEO, John Stumpf, stepped down Wednesday as his company tries to rebuild its reputation. 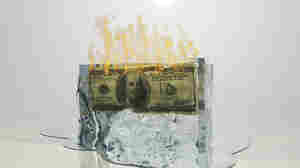 Wells Fargo, Samsung and Volkswagen have all seen their names hurt by poorly handled scandals. October 12, 2016  The bank chief stepped down after facing withering criticism about employees meeting sales quotas by opening accounts for customers who never requested them. 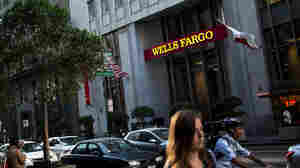 October 4, 2016  Wells Fargo workers blame a toxic high-pressure sales culture for pushing some workers to engage in deceptive practices — even in the bank branch at the company's headquarters in San Francisco. 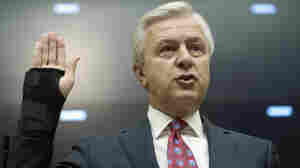 September 29, 2016  Questions for Stumpf include one about his sale of $13 million in stock, which Rep. Carolyn Maloney calls "by far the largest open-market sale of Wells Fargo stock" in the CEO's tenure. 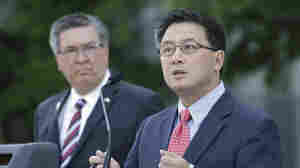 September 28, 2016  California's state treasurer has announced he is suspending major parts of the state's business relationship with Wells Fargo because of a scandal involving unauthorized customer accounts. 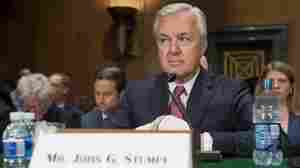 September 27, 2016  Wells Fargo says John Stumpf and the former retail-banking head will forfeit stock awards worth about $60 million combined, after employees opened unauthorized customer accounts to meet company goals. September 26, 2016  Regulators say millions of unapproved credit card and bank accounts were opened for Wells Fargo customers. 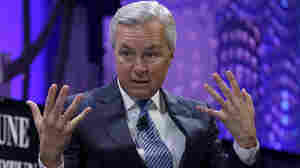 A big question is how to compensate those whose credit scores were hurt by what the bank did. September 26, 2016  Wells Fargo staff secretly opened millions of unauthorized accounts to meet lofty sales targets. A class-action suit has been filed on behalf of employees who obeyed the law and failed to meet quotas. 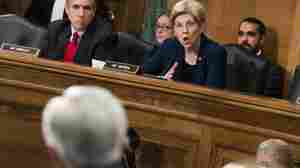 September 20, 2016  "If one of your tellers took a handful of $20 bills out of the cash drawer, they'd probably be looking at criminal charges," Warren tells the bank's CEO. 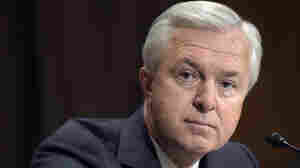 September 20, 2016  CEO John Stumpf apologized for betraying customers' trust in a hearing by the Senate Banking Committee to answer questions about Wells Fargo employees opening unauthorized customer accounts. September 13, 2016  The bank recently was fined $185 million and fired 5,300 employees for unethical behavior. 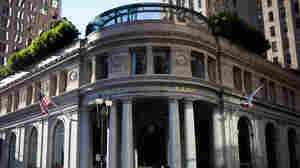 Each year mentioned in a federal agency's consent order, Carrie Tolstedt collected $5.5 million in stock. 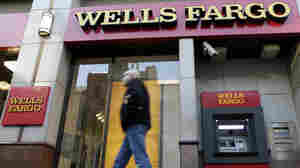 September 8, 2016  The Consumer Financial Protection Bureau has levied its largest-ever fine on Wells Fargo for "the widespread illegal practice of secretly opening unauthorized deposit and credit card accounts." October 30, 2015  The Federal Reserve is proposing rules that would force banks to add another layer of protection in case of a financial crisis. It wants to be sure taxpayers don't get stuck bailing out banks again. January 17, 2014  The banks say they will stop offering "deposit advances," a kind of payday loan that had come under fire by federal regulators last year.